MatchWare announced the new version 7 of its mind mapping solution MindView. 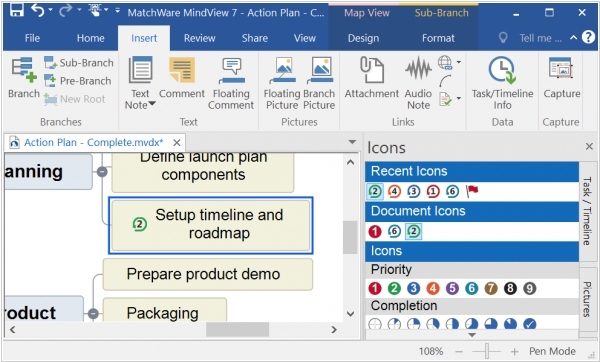 It features more than 25 improvements, enhancements and upgrades that vividly illuminate ideas like never before Key added features in MindView 7 include: a new high-resolution Office 2016 interface, integrated support for OneDrive and Google Drive, enhanced Office integration for Excel, Word and PowerPoint, new map design styles, images and icons, a suite of assistive features, such as Office 2016 “Tell Me” functionality, the option to make maps private or public, a new calculation module that is more aligned with Excel, several high-end new project management features, including baselining, agile project tracking, filters, reports, an improved spell-checker with updated dictionary. 2006. 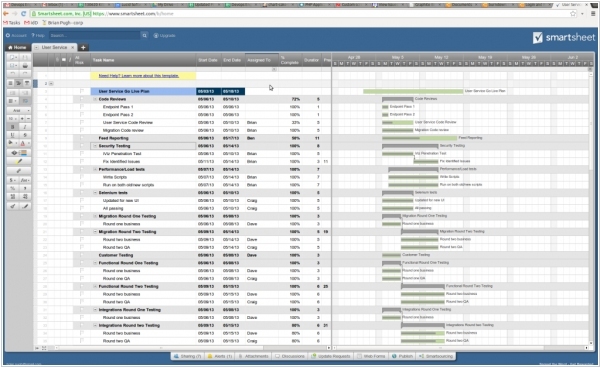 SmartSheet makes project tracking easy, and now it's free. SmartSheet is a tool for tracking group jobs and tasks. It apes the user interface that many people use to track projects - the spreadsheet - but it's got features more like a work flow application. SmartSheet was far too expensive when it launched; $75 a month for five users was too much for small businesses to experiment with, and even too much for some middle managers on expense accounts at large companies. Today SmartSheet releases a free version. It will allow unlimited users into each sheet (project), but only 10 projects per user. In addition, it won"t allow attachments. Paid versions, starting at $25 a month, will allow more projects per user, as well as some attachments. Higher-priced plans will support more storage and even corporate branding. The system will also let users save projects as "templates" that can be reused by co-workers and made available to other SmartSheet users.